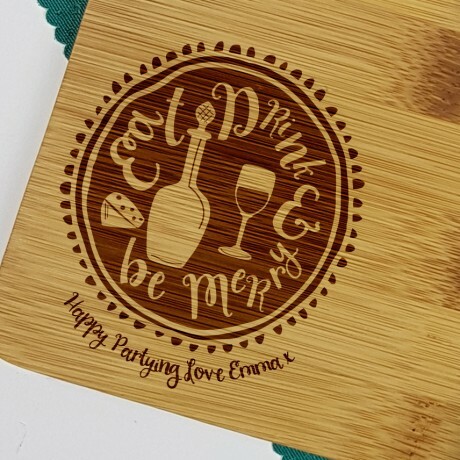 This personalised engraved bamboo serving platter makes a lovely gift for anyone keen on entertaining. What better a mantra can there be for a party than "Eat, Drink and Be Merry"? 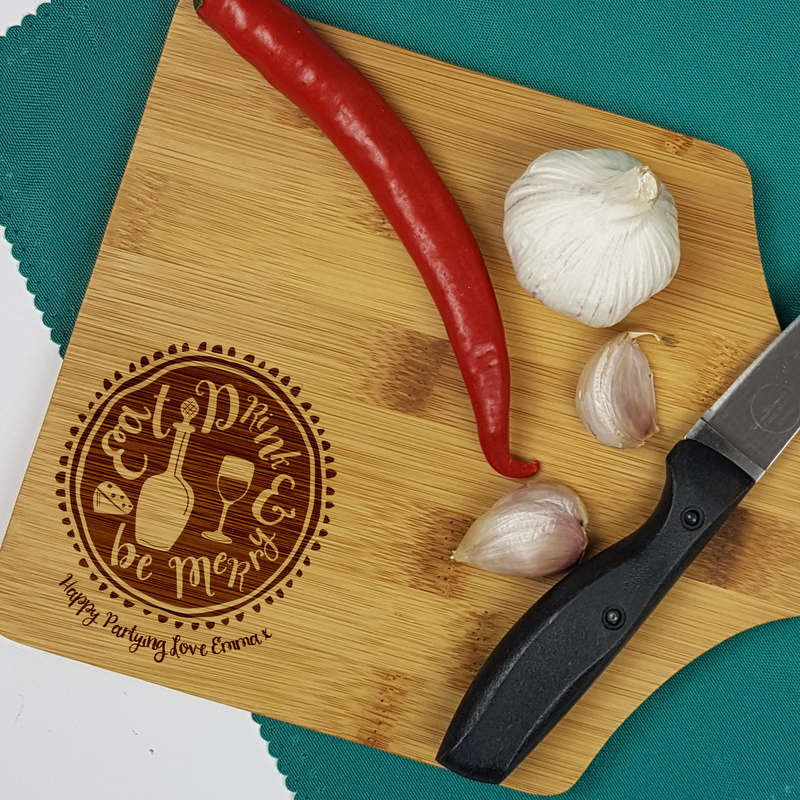 Serve cheese, nibbles and cold food with style. The handle on this platter makes it suitable for serving a variety of foods and food samples. The engraving reads Eat, Drink & Be Merry and can be personalised by the addition of a message running around the central design.